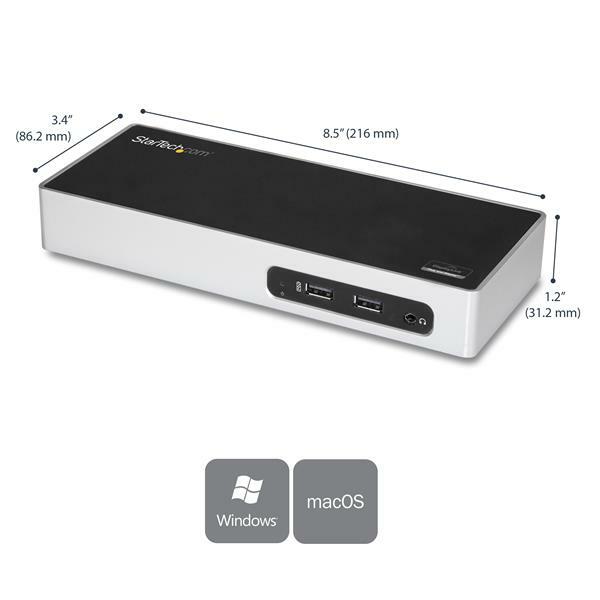 This USB 3.0 docking station for Mac and Windows™ laptops gives you display flexibility and the ports you need to maximize workstation performance. 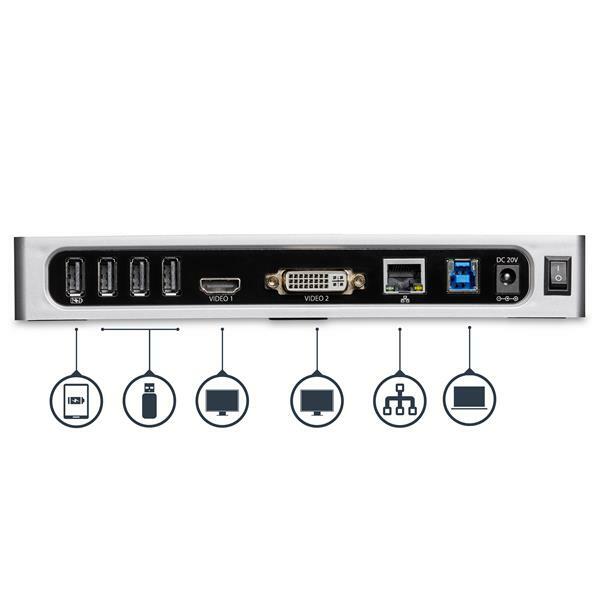 The cost-effective dual-monitor docking station provides many video output options including HDMI®, DVI and VGA (with adapter), and gives you six USB ports for peripherals, including two fast-charge USB ports. 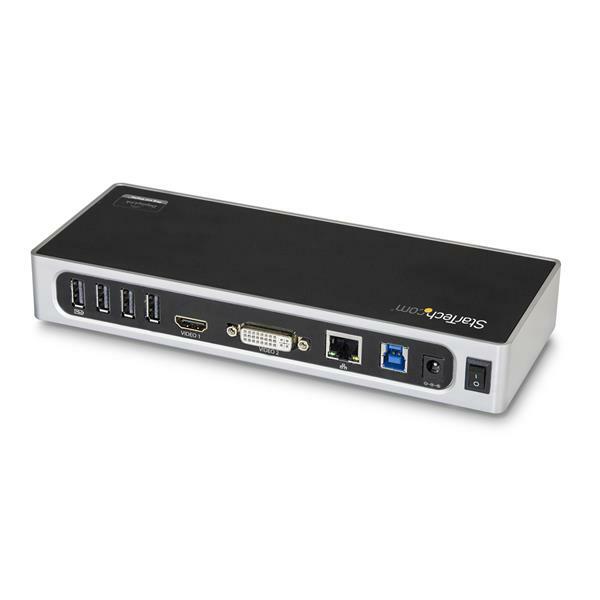 The USB 3.0 dock expands the display capabilities of your Mac or Windows laptop. Set up dual displays by connecting to one HDMI and one DVI monitor. 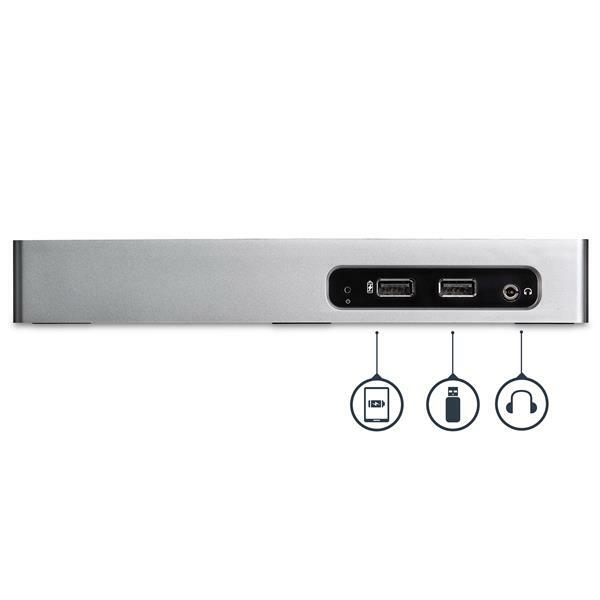 Plus, the laptop docking station includes a DVI to VGA adapter, so you can connect to a legacy VGA monitor. 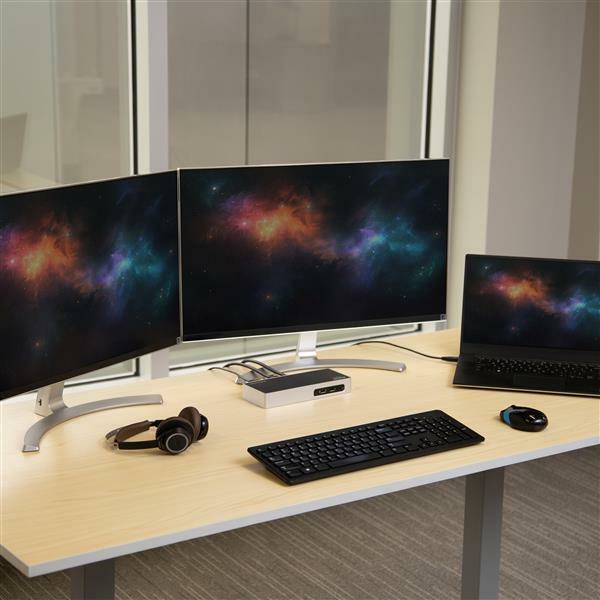 Transform your laptop into a fully capable workstation. 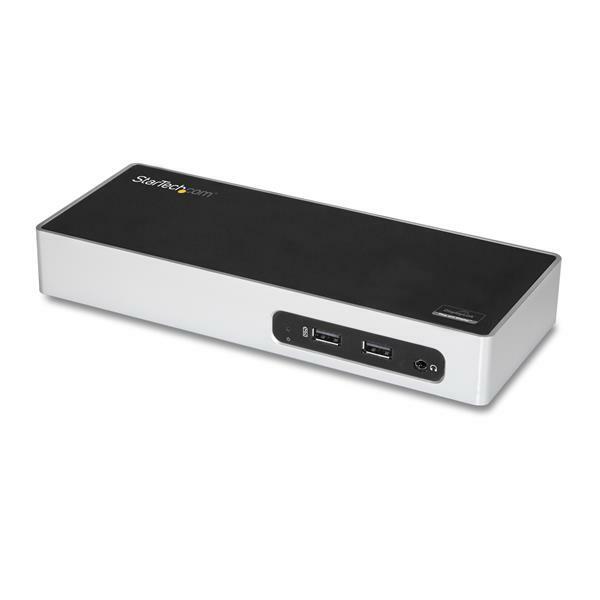 This USB 3.0 dock provides six USB 3.0 (Type-A) ports so you can easily connect your keyboard, external drives and other peripherals, from the single USB 3.0 host connection. 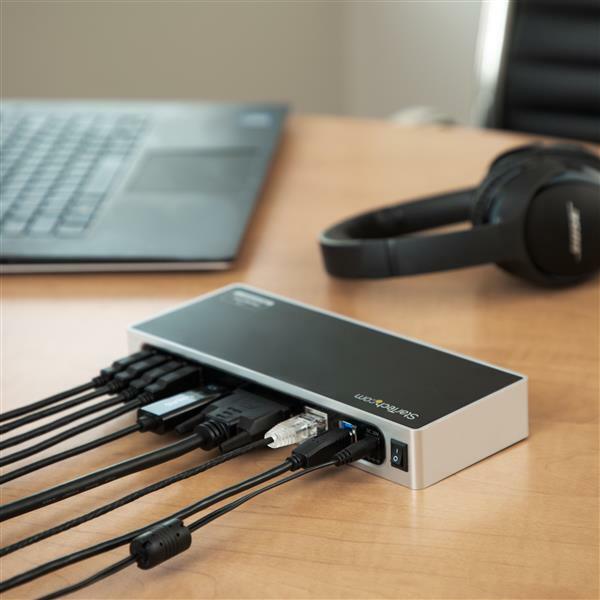 Two of the USB 3.0 ports are always-on fast-charge ports, adding charge-and-sync flexibility for up to two mobile devices. The docking station also provides a Gigabit Ethernet port plus a 3.5 mm audio headphone port. 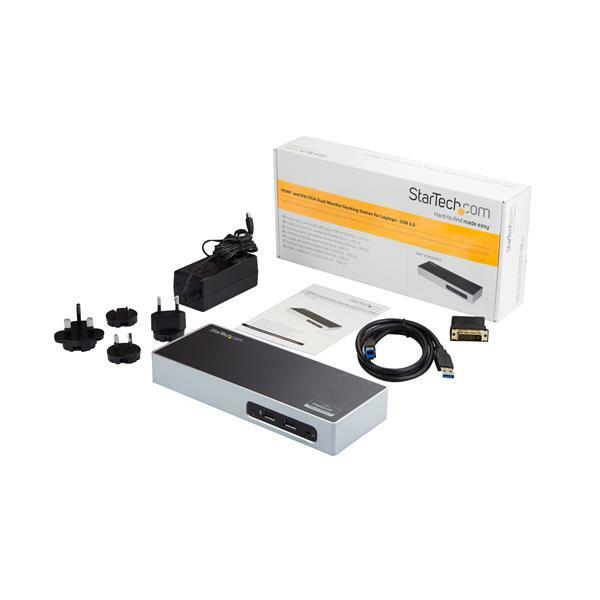 DK30ADD is backed by a StarTech.com 3-year warranty and free lifetime technical support. A DVI to VGA adapter is included.